Stress? Laugh At It! Some call it chicken soup for stress. This simple and unique stress management method uses humorous cartoons to illustrate a lighthearted and effective approach to beating your stress, in the home or at work,Click Here! The gift of laughter is loved by all ages. 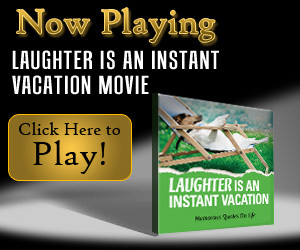 Add some laughter and joy to your life and others lives by sharing the Simple Truths movie, Laughter Is An Instant Vacation. A few laughs a day are a welcome stress reliever! Add some joy to your day as well as a boost to your health by taking a few minutes to watch this 3 minute movie, "Laughter Is An Instant Vacation." The movie is a compilation of humorous quotes and photography that will bring a smile to all. Help others to complete their Team building by offering the Simple Truths gift books to your website visitors, email subscribers, bloggers, family and friends. It is the perfect way to give the gift of inspiration. It is a gift that will provide continual encouragement to "Finish Strong," "Walk the Talk" and to appreciate "The Power of Attitude." Life can be challenging but happiness is simple. At times we try our best to make it complicated but if we look closely happiness is really very simple. 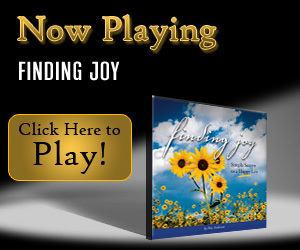 The inspirational movie, Finding Joy, is a gentle reminder of what is most important in life. Enjoy the encouraging quotes, breathtaking photography and beautiful music! It will put a smile in your heart! Make your team laugh with these ideas. Reduce your stress with toys for your desk! Check out the Deals of the Month at Office Playground! Office Playground - Fun stuff for your desk! Check out the new toys at Office Playground!